… luckily, Amazon sells used books. Amazon sells them so I feel an odd obligation to buy them. After I have the books in my possession, then it is a race against the clock to finish them as quickly as possible. Sadly, that means some late night as I try to plow through as much of the book as I can before my eyes glaze over and I fall asleep in the chair I am sitting in. However, after reading the entire series, I can say that this is the best original Star Trek fiction I have read … maybe ever. I really do recommend the entire series, and do read it in order. Somehow, the authors crafted a self-contained story within the confines of The Original Series which is both grounded within TOS (by bringing in Kirk and the Enterprise at the right moments) while still giving itself enough room to create excellent characters with excellent relationships. One of the unique things about the Vanguard series is the role civilians have in the story. They don’t seemed tacked-on and play a vital role within the story. Not just comedic relief, but actually pushing ahead the story and relationships among the characters. 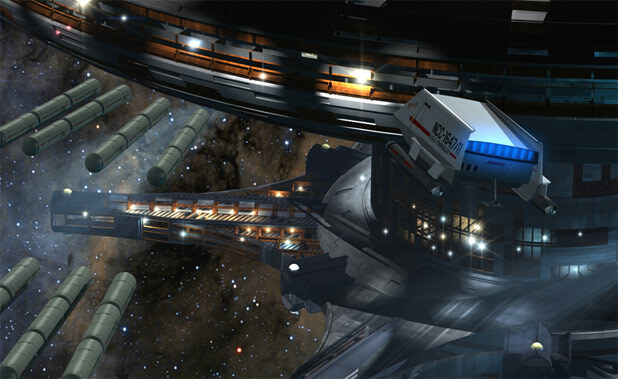 Overall, it is a fantastic story based on a station and the attached ships. I can easily recommend it to anyone who enjoys Star Trek: The Original Series and would like some light reading.